I truly wish that you are enjoying the holidays, regardless of your belief system. I wish you the best of health, happiness, financial stability, and good fortune throughout the holidays and all the days yet to come in the coming years. The truth of the matter is I’ve been struggling incredibly in trying to compose this particular post, much more than I would like. For many, the holidays are an enjoyable time of year during which they get to spend time with friends, family, and those they love. Maybe they even get paid for the holiday. Maybe they get to see those people that are too far away to visit regularly. Unfortunately, for others, the holidays are a tremendously challenging time of year for any number of reasons from personal health challenges, those of people close to you, or even the death of a friend or family member. Perhaps you find yourself struggling financially, for reasons beyond your own control, and like me have had to make the difficult decision to inform friends and family that there would be no gifts this year due to the horribly adult task of prioritizing what funds you have towards bills. Perhaps none of the above applies to you but rather you are faced with depression or other mental health issues which are often notably worse during the holiday season. Then again you could be like me and fall into multiple categories. I have multiple complex medical and physical issues that are impacting my health this year more so than many previous years to the extent that I spent the better part of October in the hospital as well as some time in September and November as well and the medical community still hasn’t quite figured out what all is going on with my body. My mother passed away suddenly two days after Christmas many years ago. While Christmas obviously was never the same, we all tried to carry on for our own respective families. As we mature into adulthood and even parenthood if we so choose, we realize that nothing in life is static and that it can all be gone in an instant. Some, like me, have been witness to this not only on a personal aspect but through being in emergency services most of my teen and many adult years. See, sometimes we have to experience the difficult and troublesome things in order for us to appreciate those things in life, which we often take for granted. Nobody ever promised us life would be easy. Life is full of challenges and sometimes of the year are full of more than others. These are the times when we must make more than average efforts to truly take time to be appreciative of the good things that exist in our lives as opposed to the things over which we have no control. Let me see if I can put this into a bit more perspective for you. See, I could be a miserable grumpy old guy during the holidays because of the various things affecting my perception of the holidays, including things I have not shared here, but to what end? What would be the point of being miserable both to myself and those around me I care about, not too mention to strangers I may encounter. Don’t get me wrong, I’d be lying if I said I wasn’t depressed, and anyone who knows me well, knows that I most certainly am for a variety of legitimate and verifiable reasons. However, despite having good and bad days like any person I’ve ever met, I choose to make a conscious effort to be mindful of my mood and the impact it can have on both my physical and mental health, as well as how others may perceive me. If I am constantly negative, then what will that accomplish? It will simply perpetuate the negativity and make those around me miserable as well as making me feel even worse. Now, I need to be clear here I am not telling you to “fake it”, but you do whatever gets you through the day. I choose to try to recognize the things upon which I have absolutely no control and try, to the best of my ability, to not let those things negatively affect my mood or how I react with or to those around me. Sure, I still think about these things that are weighing on me but realistically I cannot change them so dwelling on them accomplishes nothing other than getting the pharmaceutical companies rich by ensuring I need more than the three different medications I already take for my blood pressure. I try to acknowledge the negative items in that I allow myself to know that they exist, and then push them from my brain. It doesn’t always work, but it’s sure better than dwelling on them and frees my mind up to try to focus on the positive things in my life. Sure, I may not be able to buy gifts for those I care about, but I am also lucky enough to be able to be present in order to spend time with them. Many people no longer have that chance or ability. I could be obsessing about the as yet unknown health diagnoses, but that would again accomplish nothing save give me a heart attack or stroke. Instead, I choose to try to take some time each day to try to clear my mind in whatever way works that day, be it listening to music, some breathing exercises, or even meditation. The trick is to find whatever works for you and try to keep things in perspective, so that you don’t torture yourself or others unnecessarily. Sometimes journaling helps, other days trying to think of how to put things into words is more of a stressor. The trick is to find a few things that work for you so that you have more tools in your toolbox for those tough days. 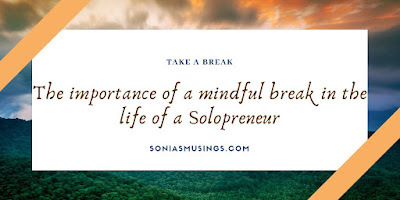 Life is hard enough without us punishing ourselves, so take a moment to breathe, smell the fresh air, coffee, flowers, or whatever makes you smile, then keep doing that. Don’t take a single moment of life or health for granted and don’t sweat the small stuff. Be grateful for what you have as opposed to upset at what you don’t have and while we will all have a bad day do your very best to minimize it to maybe a bad few minutes, refocus on what’s truly important, and then continue forward through the journey of life. Maybe you can even make your own A to Z list of things for which you are grateful! Best wishes for health and happiness to all who read this, all participants and visitors of the A to Z Challenge, and the team members who work tirelessly behind the scenes to make sure that the A to Z Challenge continues each year. Special thanks to the A to Z Team for all they do! 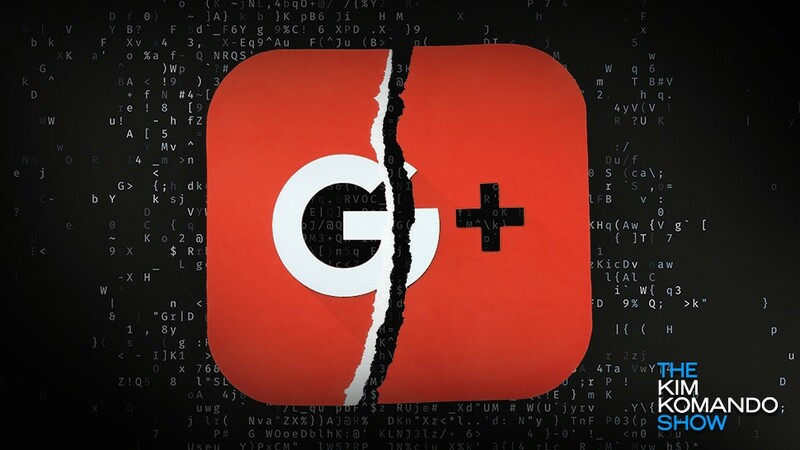 As you might have heard, Google plans on shutting down its Google+ service next year. 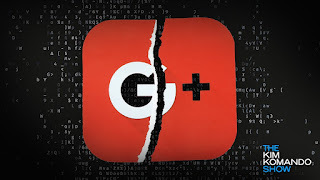 The original shutdown date was scheduled for August 2019, but owing to more than a few data breaches, they've decided to push that up to April. Seeing as how the service wouldn't be around during the next challenge or at any time in the future, and that signups for the AtoZ '19 would be coming up, we made the decision to delete the A to Z Challenge community now. Sorry for any inadvertent inconvenience. 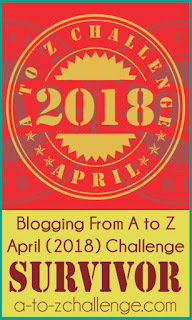 Shortly (because you know time flies when you're having fun) it will be time again for the A to Z Challenge. This will be it's 10th year and I have been participating since 2016. At the end of this year's challenge there was a poll about the different things we liked and perhaps didn't like about the organizational aspects of the challenge and the benefits or drawbacks to participation in the group and there was a contest to win a guest spot on the main A to Z Challenge blog. I know there are hundreds of participants in the A to Z and I don't know how many entered the contest but I did and I was among the winners! I was ABSOLUTELY thrilled when I found out I had won a spot as a guest blogger in the A to Z poll contest. Then I had a moment of panic. What would I write about? I hope that my insights will be BENEFICIAL to those who may not be sure about joining for the 10th year of the A to Z. There is a feeling of CAMARADERIE among the participants, even though the focus of our blogs can be very DIFFERENT. We are not all writers or crafters or music lovers and yet we can find some common ground. 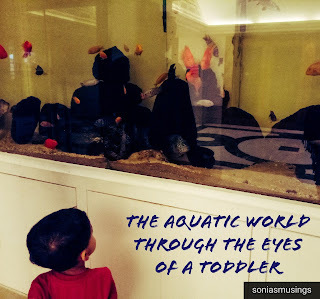 The EXPERIENCE of blogging almost every day for a month brings about a feeling of FELLOWSHIP among the participants and I GLADLY open my emails during the month of April to see what new posts there are. Some people write HISTORICAL blog posts that are very INFORMATIVE and that helps to JUSTIFY the time I spend reading them! KEEPING up with them all is a LABOR of love. Some folks write about words and their MEANINGS, some write NOSTALGIC posts about their family history. 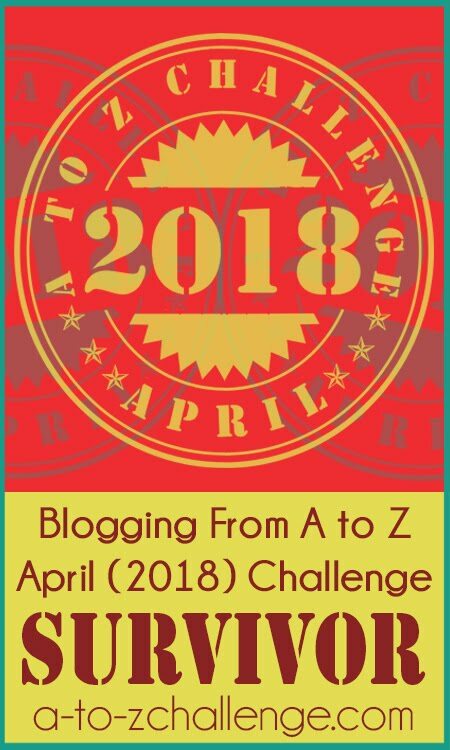 I love that the A to Z Challenge is OPEN to anyone who wants to join the PARTY and there are always the helpful co-hosts to answer any QUESTIONS that may come up. 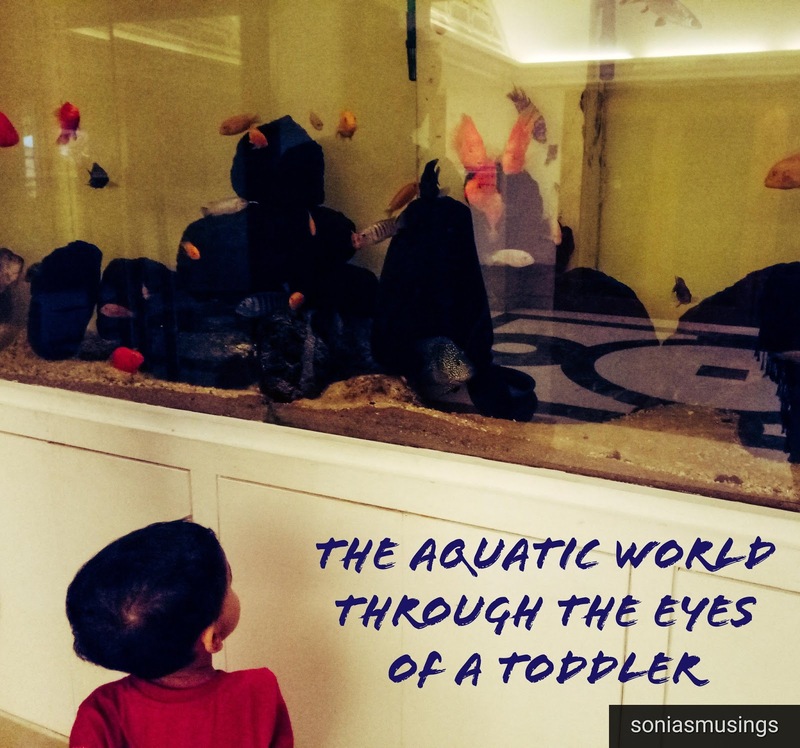 I am excited and READY to start planning for the 2019 version and hope that I can bring a SMILE to your face as you read my posts. I have my THEME and hope that I can share something UNIQUE to keep you coming back. Our founding father, Arlee Bird, was truly a VISIONARY ten years ago when he started this WONDERFUL project. I have only been doing the A to Z for the past three years so I am not sure if there have been any XYLOGRAPHERS who have shared their experiences, but the word itself may have been used by someone looking for that hard to find X-word. This YEARLY gathering of bloggers is certainly something that I look forward to because there are some ZANY folks out there who put a lot of effort into coming up with new ways to entertain us. Thanks again for allowing me to participate as a guest writer on the A to Z Blog. Can't wait to see what Arlee and the gang have in store for the 10th anniversary!